Maghi Purnina, also known by the name of Magha Purnima, is known to be a day of the full moon that occurs during the Hindu calendar month of Magh. This day falls during the Gregorian calendar month of January and / or February. 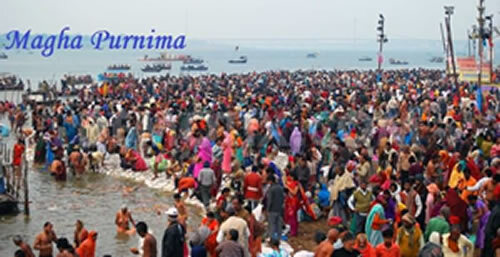 During this time period, the auspicious Kumbh Mela is held every twelve years, and the Magha Mela is held on an annual basis at the confluences of three rivers or Triveni Sangam all around north India, such as in cities like Allahabad or Prayag.